ARC Kyoto is part of the ARC Academy group of Japanese language schools in Japan. They specialize in both long-term and short-term courses. 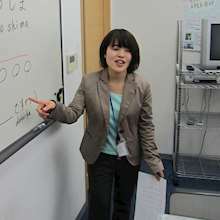 Focus is placed on teaching students how to acquire fluent communication skills to have a successful future in Japan. Also, all Japanese teachers are fully certified and training is conducted to refine teaching techniques on a regular basis. Medium intensity means the school gives you a perfect balance between study pace and free time. This means that you’ll be able to enjoy your life in Japan, while still being able to effectively progress your studies. Every year there are students from up to 25 countries enrolled, so there is a very rich international atmosphere. The school provides support by posting available part-time jobs in the area and preparing you for the interview. Located 5 minutes from Gojo station on the Karasuma line.10 minutes from Karasuma station on the Hankyu Karasuma line. Kyoto station is 1 train stop or a 20 minute walk away. The school is located in a very convenient location for access to Osaka, Shiga, and Nara. Addtionally, the school is located only a 15-minute walk from downtown Shijo, which is a convenient area for afterschool activities. Also located nearby are the world cultural heritage sites, such as, Kiyomizu temple, Nijo castle, and many others. This course includes standard lessons, JLPT and EJU preparation, and cultural activities throughout the year. These JLPT classes will prepare you for levels N2 or N1. They will focus on teaching you techniques to pass the test and will focus on the different sections that you will encounter in the test. Note: The total tuition cost includes tuition, staff guidance, as well as some activities. For long-term students (6 months or longer), this also includes student insurance. Material fees are not included and must be purchased separately. For short-term students, the 10,000 yen enrollment fee has been included in the total.